The PTA Piano Guild is pleased to support the efforts to raise money for a new school piano lab. 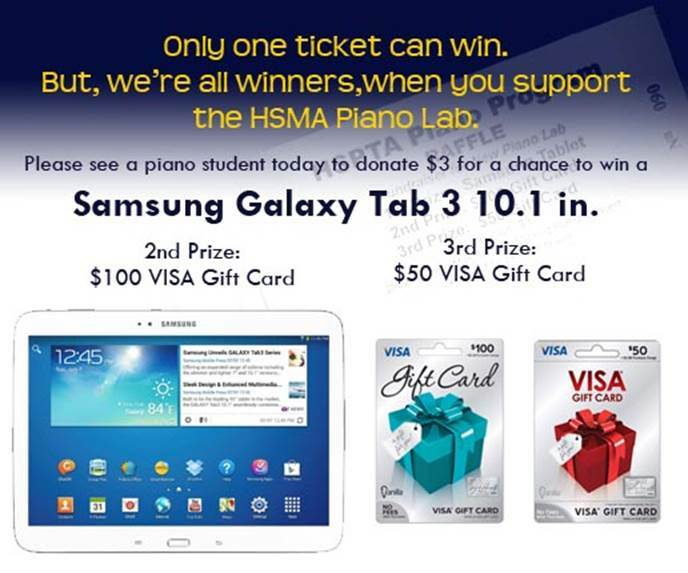 As part of that effort, the piano students will be selling tickets for a raffle. The raffle will be March 28 during the piano recital. Tickets can be bought from a participating student. Tickets will also be available for purchase at school immediately prior to the recital. If you’d like to support the school and the PTA in other areas, please visit our fundraising page.